Back in late 2016, T-Mobile launched the SyncUp Drive to smarten up your car by giving you a Wi-Fi hotspot and getting you easy access to info about your car. Now it looks like that device is available from MetroPCS, too. The MetroSMART Ride is now available from MetroPCS stores. For a limited time, you can snag one for free when you add the MetroSMART Ride service to a new or existing account. The service costs $10 per month and includes 2GB of hotspot service with 4G LTE data and unlimited data for diagnostics. You can buy more hotspot data at a rate of 2GB for $5, 5GB for $10, or 10GB for $20. In addition to helping you stay connected, the MetroSMART Ride can keep you informed about the status of your car. You can get car trouble alerts, recall info, fuel levels, battery life, and more, all on your phone. There’s GPS tracking, too, so you can always know where your car is at, and disturbance notifications will telll you if your car gets hit or towed. Smart driving analytics are included, too. You can review trips taken, speed used, harsh braking frequency, and idling. The MetroSMART Ride lets you set speed and geo-fencing thresholds to help keep young drivers safe. Finally, you can use the device to access Roadside Assistance from Allstate Motor Club. This can come in handy for lockouts, jumps, tows, and more. 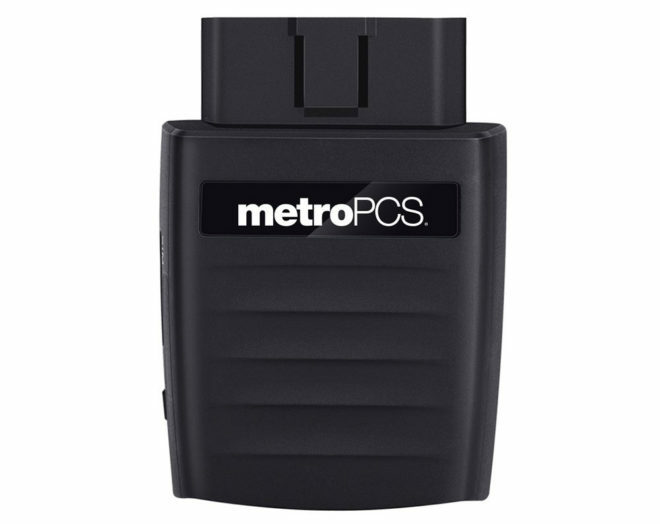 The MetroSMART Ride plugs into your car’s OBD-II port, which is standard on most cars built after 1996. Because it’s plugged into this port, it’s always on an doesn’t require charging. This is a pretty nifty device that could be useful for lots of people. It can show you a bunch of info about your car at a glance, including fuel levels and battery life, and send you an alert if there’s something wrong with your vehicle. Meanwhile, parents with new drivers can use the GPS to keep tabs on where a car is, set speed thresholds, review the trips that the car has been on, and more. Have you ever used the T-Mobile SyncUp Drive? If so, what do you think of it? Would rather see a prepaid wearables plan. Yeah, me too. This is too much like inviting big brother into your car. Phones are far more secure than these devices. Ok that’s nice, ImI looking for a headline about 600mhz deployment. . . It is always demeaning and annoying for companies to glorify the pros, but they neglect to tell you the cons. We will hear the negative side 1 month after 3 million of these devices get hacked . Honestly, these kinds of things are great if you need to track miles for work since a lot of them also have GPS in them. No trying to figure out miles manually or with Google Maps. I get 10 gigs of high-speed WiFi hotspot with each of my phone’s included. Not sure why I should pay so much for wifi when I could just tell the kids to use the phone. Not standalone. Not going to join Metro just to get this. $10/month for information you don’t really need, a tiny 2GB of hotspot when users have more than that INCLUDED with their phones, a high chance of hacking that would provide criminals with your current location and your location history, etc. The only “plus” I can see with this device is if you want to spy on family members. I have SyncUP, it ain’t bad. The device itself does what it’s supposed to, but had a problem falling out of the port for like a month or two. Now it keeps notifying me when I start my car despite me turning that off. Overall, 8/10. I do drive for work, and it helps quite a bit with arrival times and miles per gallon. I also bought SyncUP a couple yrs ago. But I quickly discovered that everything I could get off SyncUP I was getting plus more w/ the My Chevy app for my 2017 Malibu Hybrid. I subsequently tried (and failed) to use the SIM for a Netgear LTE hotspot. The SyncUP app just overwhelmed me w/ notifications and just got too annoying. I’m wondering if Tmo had inventory they were having difficulty moving. Plus, it was a ZTE device and ZTE was the Chinese firm that was fined into oblivion for selling to Iran when they were prohibited from doing so. This was my thought. Instead of trying to move these through Metro, I think T-Mobile should be trying to unload them on a standalone IOT plan via Mint or Ultra. Tmobile is marketing this device through MetroPCS for $10 per month. Does this device support bands 66 and 71? Does the plan include unlimited throttled data after the 2 GB is used?